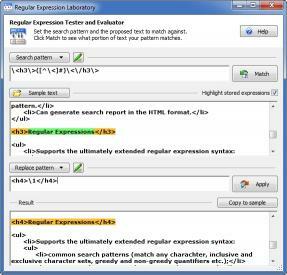 Regular Expression Laboratory by silveragesoftware.com is an assistant simple to use tool to help you learn and prepare regular expressions. 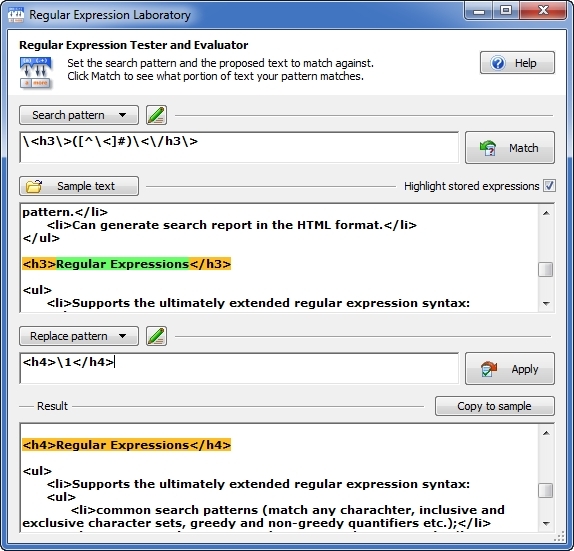 If you are in any way connected with text processing Regular Expression Laboratory is the tool you need. In fact you might feel you needed a program like this one but could not formalize your needs. We have done this job for you. Now you can construct your regular expressions with ease and test them by applying to an arbitrary text. Visit silveragesoftware.com for updates. Finally - a Unicode build. UAC compliant persistence.